Beauty and the Gamer: Mini Nailpolish Haul - literanlly! Well, I did purchase other things, so it's not purely a nail polish haul, but I'm sure that you'll forgive me. I've been obsessed with nailpolishcanada.com. I'm on there nearly every second day to see what new goodies they have! Plus, I've had my eye on a Deborah Lippman set for the longest time but just couldn't justify the price tag (even if it's on sale!). Actually, now that I look at my purchases, it looks like I splurged on a few things.... 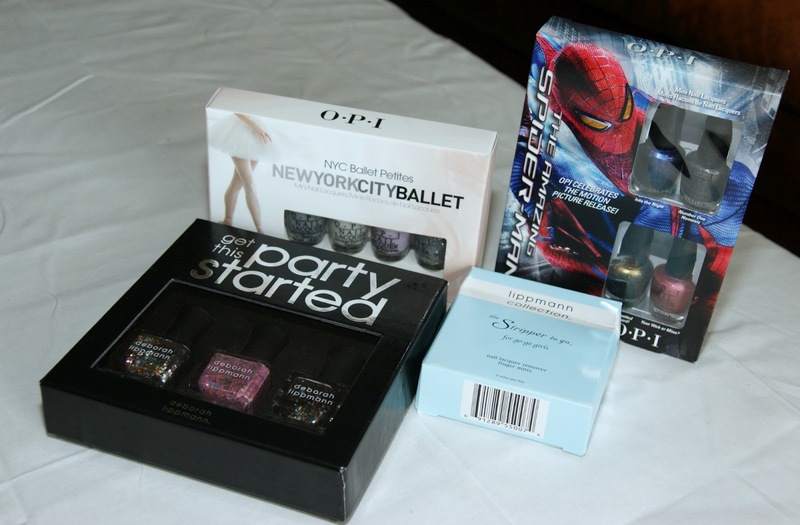 I picked up Deborah Lippman's Get the Party Started three pack, OPI's New York City Ballet minis, Deborah Lippman's Stripper to Go-Go remover mitts and OPI's Spiderman minis. Deborah Lippman's Get This Party Started - wow!!!! I love it. I know how hard glitter is to get off (if anyone has some tips, please let me know!!!) but I LOVE these! They are so fun and sheer enough that you can layer it on top of another colour and create a whole new look! 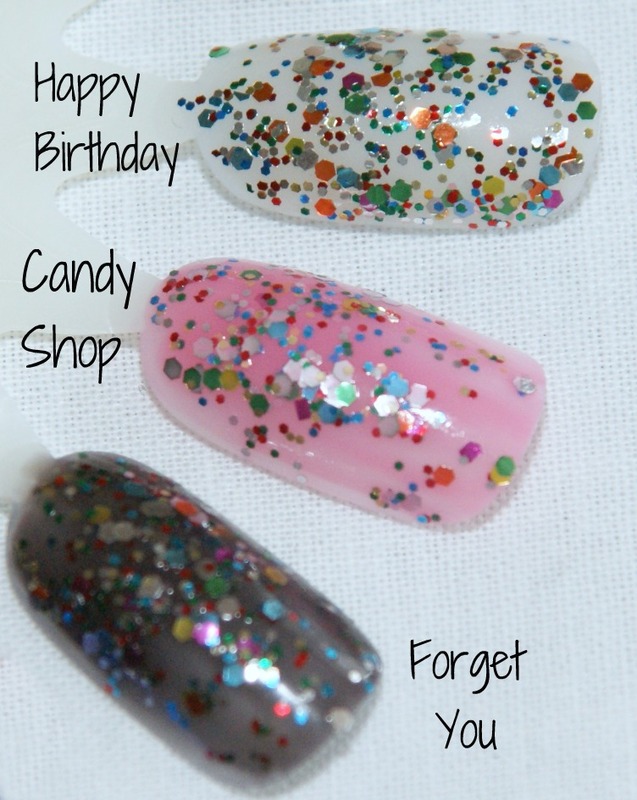 Happy Birthday is a clear base glitter. It has both fine and large chunky glitter. I don't know what possessed me to pick up the OPI Spiderman Mini collection. They aren't really shades that I would normally like/wear. Maybe it had something to do with the words OPI and MINIs being in the same sentence? Into The Night is medium sheer midnight blue. The swatch you see took three coats. It's a fairly nice blue and I definitely see myself wearing it. 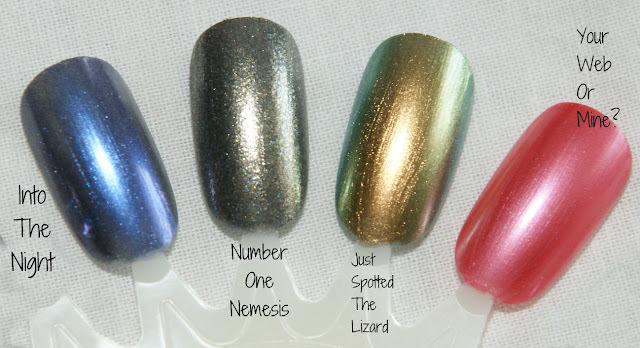 Number One Nemesis is a gun metal grey shade. I loved wearing gun metal grey when I was in high school, perhaps it's time for a blast from the past? Just Spotted the Lizard is a yellow green. It's actually a pretty gorgeous colour. I'm not a huge green fan, but it's got this gold iridescence to it that makes it a completely different colour. Your Web Or Mine? I LOVE this colour. 'Nuff said. 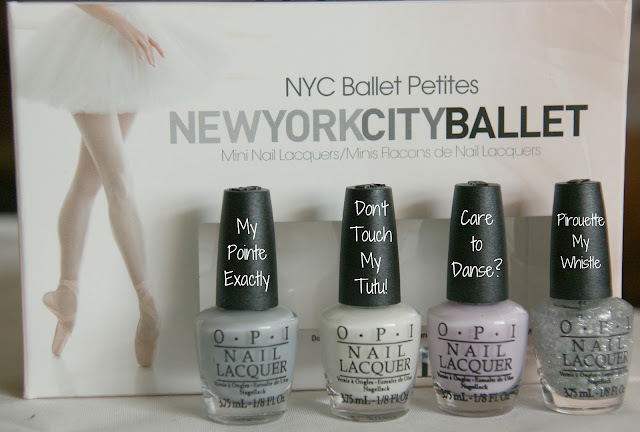 OPI's New York City Ballet is the real reason that I was on the website ordering stuff. Hey, that's my story and I'm sticking to it! The whole collection looks so delicate and dainty. Full of light creme shades. And fun names to boot! 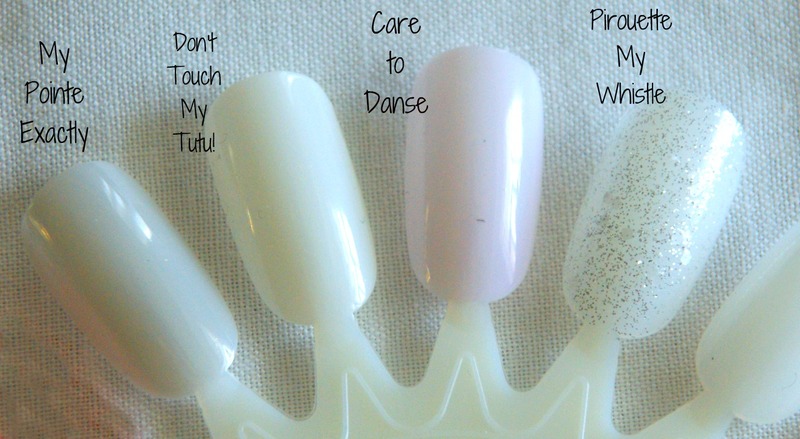 My Pointe Exactly is a gorgeous sheer grey. It goes on looking like a white colour, but as it dries, it almost seems to deepen in colour. The swatch took anywhere between three to four coats. Don't Touch My Tutu! This is a wispy sheer white. It's perfect when you want to wear white, but don't want to stark, in your face white colour. Once again, you'll need three to four coats. Care to Danse? is a light, airy lilac. It's very pretty and probably my favourite out of this set. Pirouette My Whistle is fine silver sparkles in a clear base coat. It also contains big chunky flecks of clear iridescent glitter. You can't really see them until they catch the light. It's like a surprise! 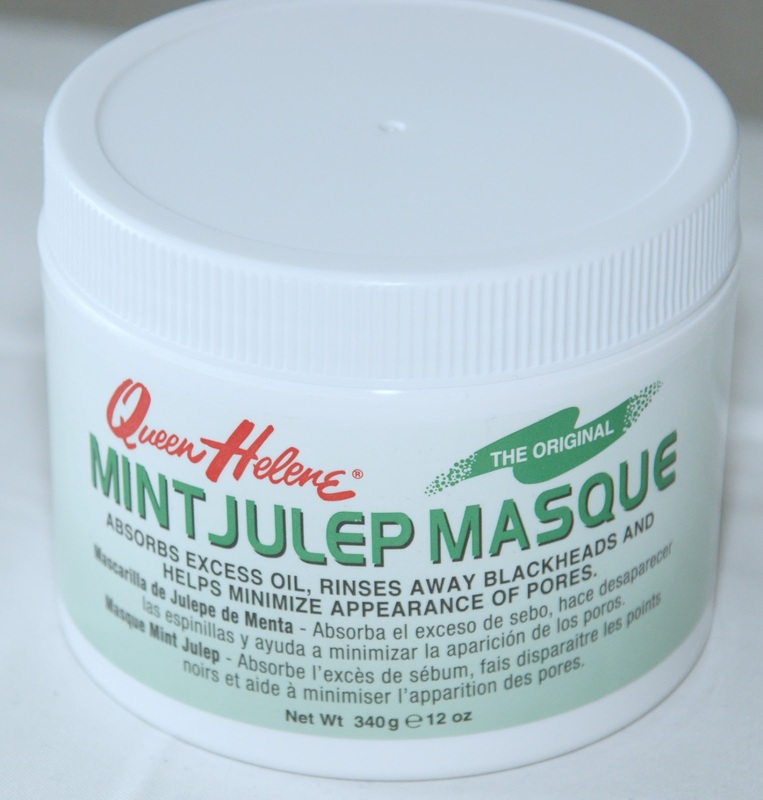 Last but not least, I picked up a Queen Helene Mint Julep Masque. 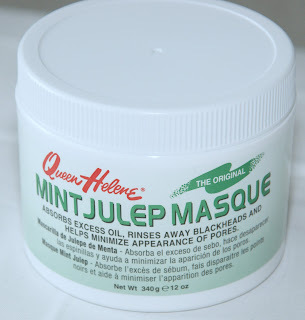 I've heard nothing but great things about this masque on youtube, but it's been very hard to get my hands on where I live. Sally's Beauty Supply seemed to carry everything else that Queen Helene had to offer except this....So, the other day, when I was in there looking for nail tip wheels, I thought that I'd take another look and lo and behold, there it was! There weren't many left, so I grabbed two! I'll be sure to do a review on this, as soon as I'm done my current mask! See? Compared to my last haul, this is like a baby haul! Stay tuned, I'll be posting my 50 follower giveaway contest soon! love love love this post! great haul! for getting glitter off, put cotton pads soaked in polish remover on your nail and hold it in place with tinfoil (make a little finger tip with the tin foil). this is the best way I know of to get thick glitter polish off! I like the spider man collection but I don't think I could pull off the lizard colour! I don't think that I could pull off the lizard colour either! At first, I really hated it, but then the more and more I looked at it (c'mon! Like I'm the only one who stares at her purchases before opening them! :P), the more and more I liked it. The tinfoil trick sounds like how I get my gelish polish off. They always leave my finger tips wrinkly like little raisins! LOL! I'll try it next time, thanks for the tip! Oh these are all so gorgeous! Love this haul post, and am slightly jealous! Haha. :P I really like the deborah lippman polishes that I picked up. I'm still feeling a little guilty at how much they were, but I'm sure that it'll go away as soon as I buy something else! LOL! oh, that's a fantastic idea! Thanks! I love the "My Pointe Exactly" collection. All of the colors are soo pretty!! Thanks for following! Heading over to follow you back!